The quality of your projector is going to be the main factor in how good your picture looks, but the screen you use can make a difference, too. White screens are the old standard, but they’re not your only option—and not the best option, even, for some situations. 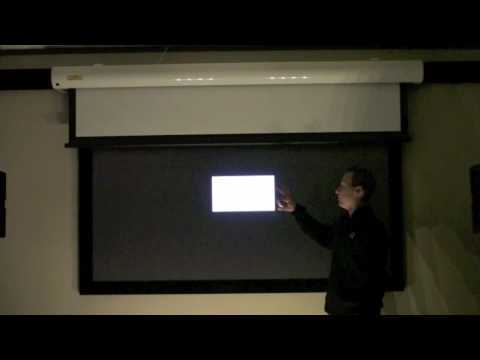 You might be wondering what the benefits and drawbacks are of a black projector screen vs. white. What it really comes down to is color and contrast. A standard white projector screen works well for a lot of different situations, but there are cases where a gray or even black projector screen will be a much better option. So how do you tell which one’s right for you? Read on below to find the answer! Why are white screens the standard? For a long time, white was your only color option when it came to buying home projector screens. 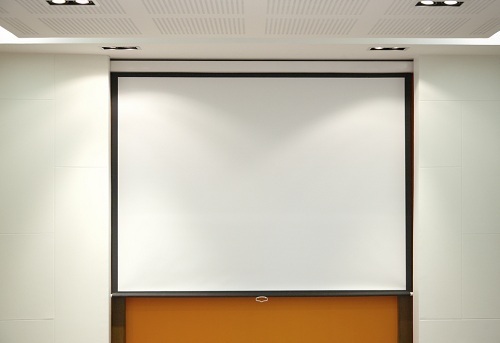 It was only about 15 years ago that the first gray projector screens hit the market, and within the last 5 years that black screens became widely available. White does make logical sense as a screen color. It reflects light well and doesn’t alter the projected image. Because they’ve been around for longer, you’ll also find more options out there for white screens. You can even find screens that have micro-perforations or acoustic weaves, allowing you to place speakers behind the screen. The price of white screens can vary widely, as well. You can get a basic 120” projector screen for around $30. More sophisticated models with higher-quality materials, finishes, and high-tech extras can cost hundreds or even thousands of dollars, topping out at around $3,500. This availability is the main reason white screens are still largely the default. White screens do have some problems though. They reflect light off the screen onto any nearby walls or ceilings. This reflection of light means you need a very powerful lamp to get a clear, bright image unless you darken the room completely like a movie theater. It’s hard to get a high-contrast image, too. True, deep blacks are difficult to produce with a projector as it is, and the white screen compounds those problems. A projector with a high contrast ratio can overcome these issues, but cheaper projectors may end up looking washed out. What’s different about a black screen? The most significant difference is probably obvious: a black screen is a lot better at reproducing the darker portions of the image. This visibly improves the contrast of the image. Black screens also don’t reflect as much light as white screens and perform better in rooms with ambient lighting. Bright colors will also look a little better on a darker screen. This might seem counter-intuitive at first, but it again has to do with contrast. Imagine you’re writing with a piece of yellow chalk. The marks would be very hard to see on a white piece of paper but would show up very well on a black chalkboard. 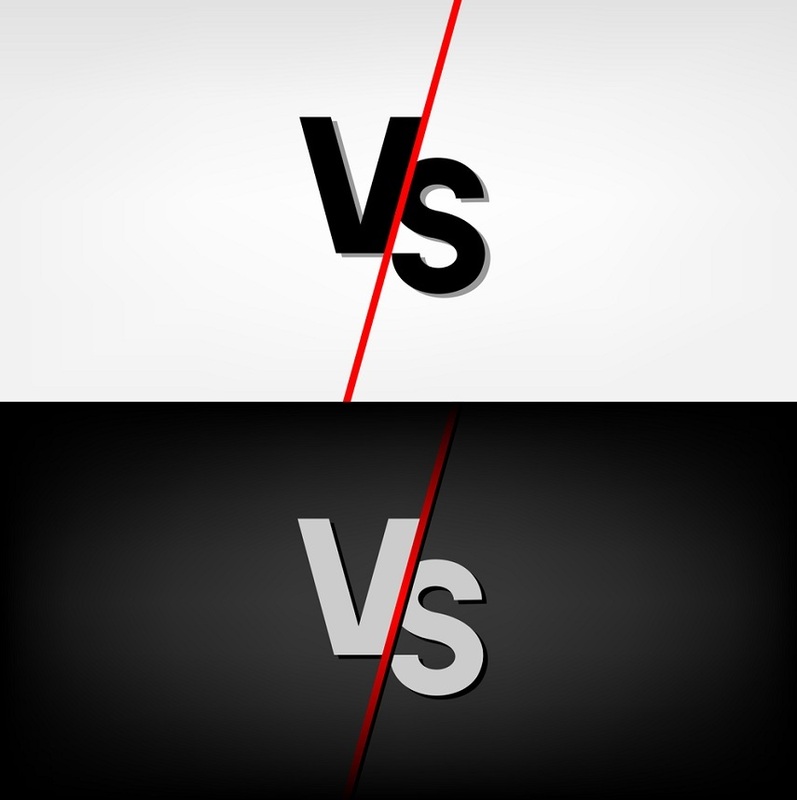 The same concept makes bright colors more visible from a black screen. Black screens still aren’t perfect. Especially bright images can give a rainbow or shimmer effect, something that can be more troubling to some people than others. They can also be prone to hot spots, where one section of the screen is significantly brighter than the rest. You can usually control both these issues by adjusting your projector’s brightness settings. Black screens have only become widely available within the last few years, so you won’t find as many options as you will with white screens. While the high-end options are comparably priced to white screens, you’re unlikely to find a black screen in the budget price range—in fact, it’s rare to find one for less than $1,000. Gray screens are also called “high contrast screens” because they have similar effects on the projector image to black screens. The black levels and contrast ratio of a gray screen will be better than a white screen, but not quite as good as a black screen. This is why they’re often recommended to people trying to make the most of a projector with low lumens. The main complaint against gray screens is that they give everything you watch on them a grayish tint. This tends to especially be a problem with the lighter regions of the screen. Still, they can often give you a better viewing experience than a white screen and don’t come at as high a cost as black screens. You can find a quality gray projector screen for $200-$400. Do I even need a screen? Strictly speaking, no. If you’re looking for the cheapest option, you can project the image onto a hanging sheet, or even directly onto a smooth, blank wall. You can even buy High Definition Screen Paint and turn any large, flat surface into a TV screen. The image will be cleaner, brighter, and crisper if you use an actual projector screen. You certainly won’t get the clarity 4K and even 1080p projectors are capable of. If you’re going to invest the money in an HD projector, it’s worth the extra expense to get a nice screen. Black projector screen vs. white: what’s better? A black screen will give you a sharper image with better black levels than a white screen, especially in rooms with a lot of ambient light. If you plan to use a projector as a replacement for your living room television, a black screen could be a great solution. The main disadvantage of black screens for most people will be the cost. Most people don’t budget to spend as much on their screen as they do on their projector. If your budget is limited, you’ll probably be better off spending the bulk of it on the projector itself and buying a cheaper white screen. If you’re going for the ultimate projector set-up, though, most people agree a black screen looks better. Whether or not it’s a big enough difference to justify the extra expense is a question only you can answer. Previous articleHow Many Lumens is Good for a Projector?